Name : Heidi Stephany, M.D. 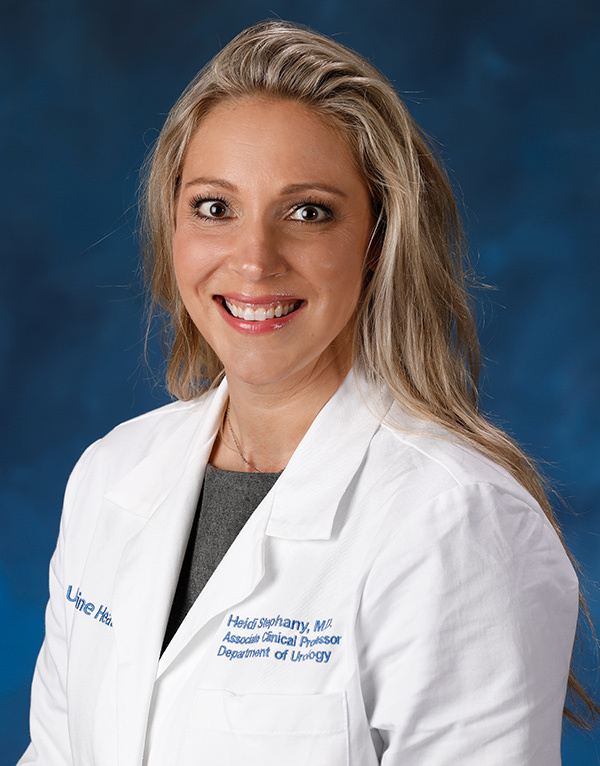 Dr. Heidi Stephany is a board certified urologist with a subspecialty certification in pediatric urology. Dr. Stephany received her medical doctorate at the University Of Kansas School Of Medicine, and completed her residency training in urology at the University of Kansas Medical Center. She subsequently matriculated to Vanderbilt University Medical Center in Nashville, Tennessee, where she completed her pediatric urology fellowship. Prior to joining CHOC Children’s in August 2017, Dr. Stephany was an Assistant Professor and the Associate Clinical Director for the Division of Pediatric Urology at the Children’s Hospital of Pittsburgh, at the University of Pittsburgh Medical Center, from 2013-2017. Dr. Stephany’s clinical interests include complex reconstructive surgery, specifically hypospadias and disorders of sexual differentiation. She participates in clinical outcomes research with an interest in voiding dysfunction. Resident and fellow education is also a primary focus in her academic career both locally and internationally, and she volunteers with International Volunteers in Urology (IVUMed), which includes traveling to Africa biannually to conduct workshops with local urologists.